The Converter use a single HDMI source, accessing to single VGA + SPDIF sink or single YPbPr + SPDIF sink. 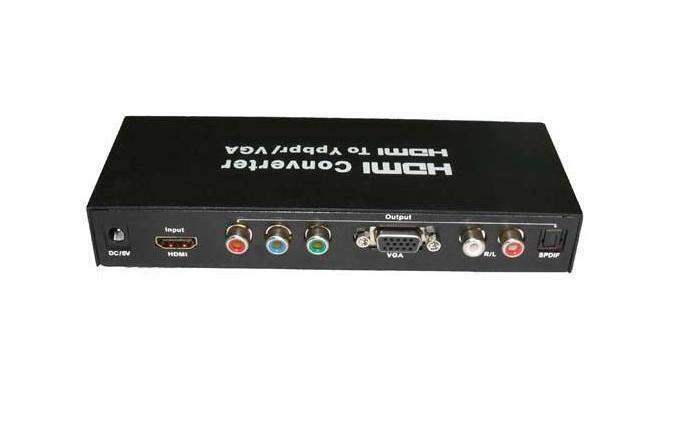 This converter allows one HDMI device to be converted easily to one VGA + SPIDF or one YPbPr + SPIDF/(R + L) monitor or projector. Our devices offers solutions for noise, space and security concerns, data center control, information distribution, conference room presentation, school and corporate training environments.